To bridge the gap until the next James Bond film, the latest Jason Bourne adventure seemed like the perfect film at the perfect time. 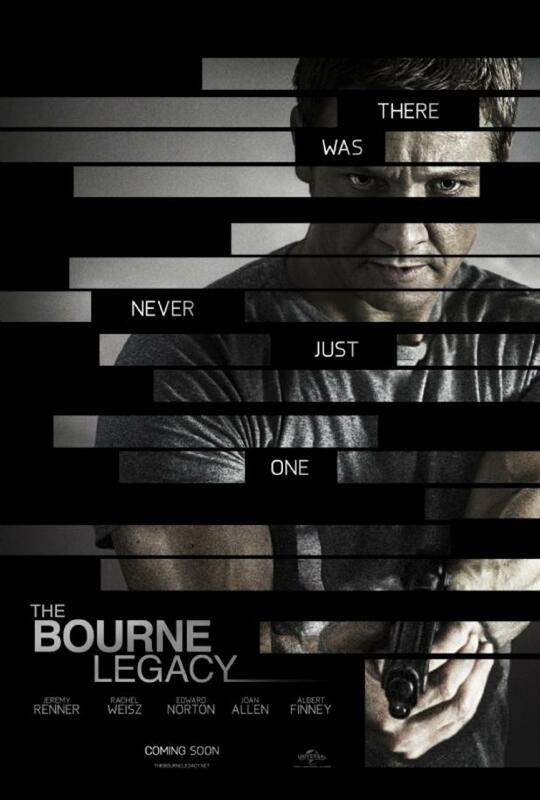 “The Bourne Legacy” is Bourne IV. I expected a lot as Bourne I through III were quite good. To come out with the verdict straight away, Bourne IV can’t live up to the expectations. This is not the actors’ fault, they are actually what makes the film viewable. Jeremy Renner who had introduced himself into the action genre convincingly in “Mission Impossible IV” plays the main character, which confusingly is not Jason Bourne. In fact, there is no Jason Bourne at all in this movie. Other great actors in the film are Rachel Weisz, Edward Norton, Zeljko Ivanek. “Hold on,” you’re asking, “a Bourne film without Jason Bourne?” Yes. And that’s the film’s problem. The plot is a rehashed version of everything we already know: a secret government programme to physically enhance spies. Again, it is about a spy who is trying to find out what is going on, the agency wants to kill him, he needs to survive and he finds other spies of the same program on the way. Nothing new. This was interesting in the beginning and it could only carry three movies because there were the (three) thrilling books by Robert Ludlum. But now the story has run its course. If the Bourne franchise wants to carry on – as it should, because the films are well made – it needs to work on the story. I am happy to help with my ideas and my own experience from the murky world of espionage. Universal Pictures, please feel free to contact me. The action sequences were quite good. With the exception of the initial drone strike in Alaska, they look absolutely real, not like this awful computer stuff which has been creeping into too many action films. (The worst thing that has been happening to my beloved James Bond franchise.) The action sequence in Manila was too obviously modelled on the initial chase scene in Madagascar in “James Bond: Casino Royale”, as well as on the chase in Saigon in “James Bond: Tomorrow Never Dies”. And then there is one criticism which I finally have to make, although I could almost equally make it about any other action film of the past years: it is NOT exciting to watch CIA agents snoop through e-mails, satellite images, data from passport controls and CCTV footage. This is nothing new. It was exciting and thrilling in “Enemy of the State“, but that was in 1998. We have seen it a hundred times and we believe you that satellites can do everything. There is no need to include this in EVERY film until eternity. This entry was posted in Films, James Bond, Technology and tagged cinema, movies. Bookmark the permalink. I never even watched Indiana Jones IV.